I’ve read (again) following article based on a post written by Jesper Johansson (Death by PowerPoint) some years ago. Please, consider the suggestions offered seriously before you work on a nonsensical and useless fantasy-presentation. Sorry, Mr. McLuhan, but the medium is not the message. Not this time. I’m at yet another event, and this time I decided to go see a few of the other sessions instead of just trying to find as much free food as possible between my own presentations. This experience brought to mind an old concept: “Death by PowerPoint.” It is almost embarrassing how some people use PowerPoint. Steve Riley frequently refers to e-mail as “the place where knowledge goes to die.” Well Steve, you have it wrong. Nothing kills knowledge as fast as putting it in PowerPoint. Here are some of the most egregious ways of using PowerPoint that I’ve seen. 1. PowerPoint is NOT a word processor! The point of a PowerPoint slide is not to cram as much information into a single slide as possible. The idea of a slide is to have memory joggers that trigger thinking in the audience. That means you do not need to even have complete sentences (although it is a bonus if the words are spelled correctly). Simple statements work just fine. A corollary to the thinking that PowerPoint is a word processor is that far too many presenters stand on stage reading the slides. It turns out that most of the audience members probably are literate and can read the slides for themselves. The purpose of a presentation is not to do so for them. If you want to read to people, go to the reading hour at the local library. A presentation is about explaining things to people that go above and beyond what they get in the slides. If it weren’t, they might just as well get your slides and read them in the comfort of their own office, home, boat, or bathroom. Just because PowerPoint has bullets is no reason to use them. 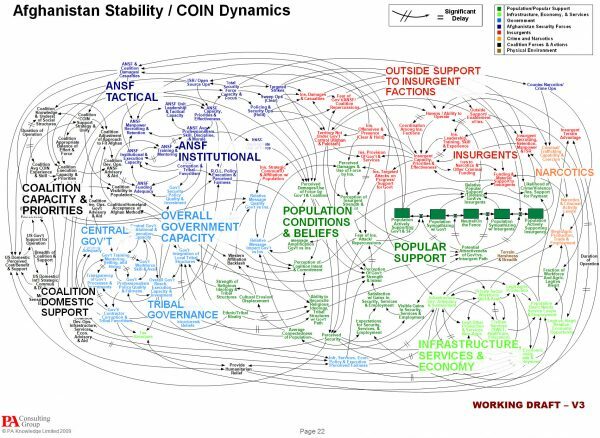 There is no way you can convey as much information in a slide full of bullets as you can in a slide with a single picture on it. Try this next time: Put a picture in instead of the bullets and then talk about the picture. People will find it much more interesting and much more informative. As a bonus, it makes it more worthwhile to come to the presentation as opposed to just downloading the slides, making you a more important person to have at the event. Statements like “Oops, what is that slide doing here” or “I don’t really know what this point is trying to say” are never a good thing in a presentation. Generally speaking, an audience that went through the time and effort to attend your presentation expects you to have spent at least that much time preparing for it. Taking someone else’s presentation and just standing up and reading the slides as they show up is typically not going to work out too well. There is no law that says everything you say has to fit in a bullet. In fact, teaching by bullet points was never one of the more interesting approaches in school, was it? Think back to the classes that you enjoyed. Most of the time they were the ones where the teacher related the material to real life by telling a story that illustrated the points. Which would you rather hear? A sound-bite explanation of the four pieces that need to be proven in a lawsuit over negligence or a story about how someone was negligent and got sued over it? 6. The actual content of your presentation is much more important than the slide show template you used! I do about 80 conference presentations a year. For some reason, every single event feels that it must have a unique PowerPoint template for its slides. It takes anywhere from 15 minutes to two hours to reapply a template, depending on the presentation and what you have done in it. That is two hours that could be profitably spent doing other things—like, say, putting in content that the audience cares about as opposed to setting it in a template they don’t care about. That is two weeks of my time a year when I can’t create information and transfer knowledge but instead have to spend trying to figure out why somebody decided that a red font on a blue background was a good idea. PowerPoint’s three-pane view is great—for building presentations. It is not there as a substitute for rehearsals so you can tell which the next slide is. Hit [F5] and use PowerPoint the way it was designed. If you’re already in three-pane view by the time you read this, hit [Shift][F5] and that will start the slideshow from the current slide. Okay, so the general idea is to transfer knowledge. If you make the audience’s collective eyes bleed by putting up white slides with a black font, something that is just horribly painful to look at in a dark room, you are much less likely to actually convey any points since they will be trying to look away from the screen the whole time. Also…It is not a requirement to have at least one slide in each presentation that nobody can read. Contrary to public opinion, you don’t have to have a slide that nobody can read. That’s what handouts are for. If people can’t read it, why put it on the screen? Why waste the audience’s time with it? Most disabilities do not interfere with a presentation. However, some do. For instance, red text on a blue background is impossible to see for people who are colorblind since it won’t stop moving. Red text on black has the same effect, and red text on green simply disappears unless they are completely red-green, in which case the red text just jumps around a lot instead. 12-point font can’t be read unless you are right in front of the slide, in which case you need to move your head far too much. 14 points is bare minimum. Ideally, don’t go below 18. Also… There’s no contest to see who can use the most fonts. You won’t get dinged if you don’t use 12 fonts in a single slide. One or two is perfectly fine and actually makes the slide readable instead—an extra bonus.